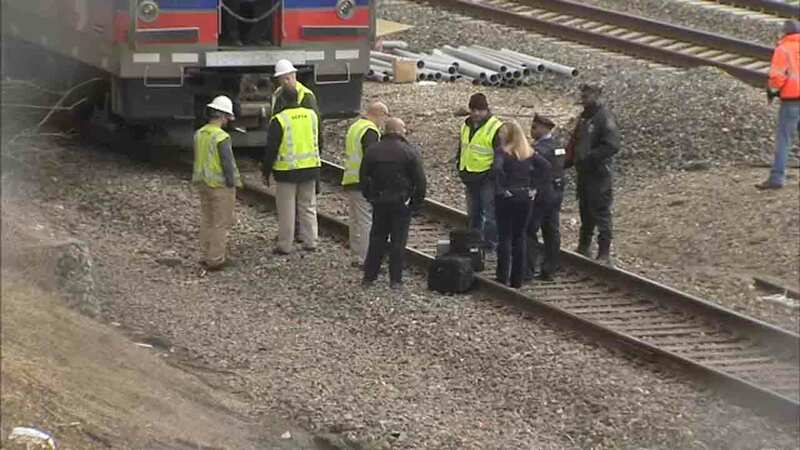 PHILADELPHIA (WPVI) -- Service on SEPTA's Airport Line was shut down after a pedestrian was struck by a train in Southwest Philadelphia. It happened at 10 a.m. Monday near 58th Street and Woodland Avenue. Action News is told the pedestrian survived the incident. The extent of the victim's injuries was not immediately clear. SEPTA shut down service on the Airport Line in both directions. Shuttle buses were operating between 30th Street and Philadelphia International Airport as police investigated.